Adventures of Rabbit and Bear Paws Vol.3: True Hearts has been nominated for one of Canada’s top children’s book awards, Festival of Trees – the Silver Birch Award (Express). The Silver Birch Award® is given by Grades 3, 4, 5 and 6 students in 3 spectacular ceremonies (Fiction, Non-Fiction, Express) held annually in May before 4,500 of their peers. The children choose the winners by casting ballots on the province-wide Voting Day in April. All Canadians are invited to participate via their local public or school library. More than 250,000 readers across Canada participate each year. Adventures of Rabbit and Bear Paws Vol.3: True Hearts explores the meaning of LOVE. Is love defined as the feelings you have for your parents, family, friends and all beings? Or is it something more? What Rabbit loves to do the most is play pranks with his brother Bear Paws on family and friends. Rabbit is the best at playing pranks on others – until he meets his equal in a young girl called Strawberry. Is this a new kind of love? Adventures of Rabbit and Bear Paws is a fresh and funny graphic novel series for the young and the young at heart. The series is based on the Seven Grandfathers of Respect, Bravery, Love, Honesty, Humility, Wisdom and Truth, and is rapidly gaining enthusiastic fans for its vibrant and entertaining images of customary traditions and oral history. 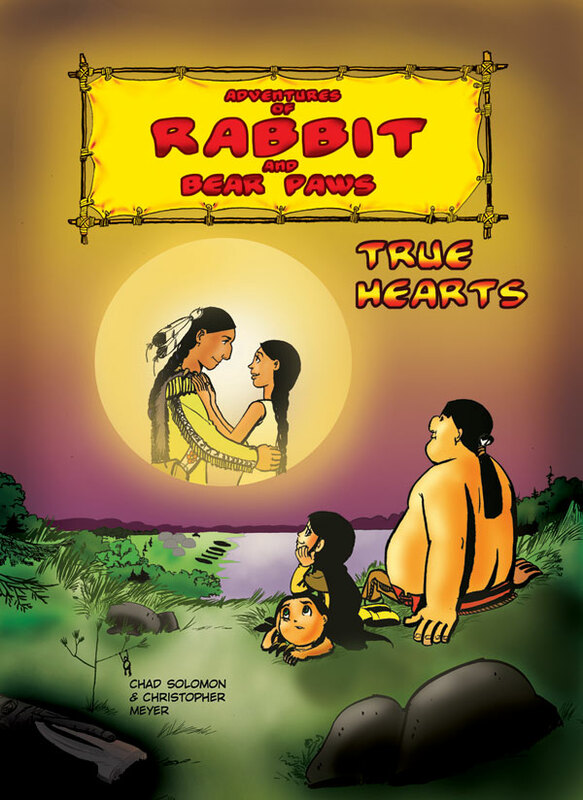 Adventures of Rabbit and Bear Paws Vol.3: True Hearts was published with the assistance of the Ontario Arts Council of Canada. This entry was posted in Other Awards, Press Releases by Jason Truong. Bookmark the permalink.